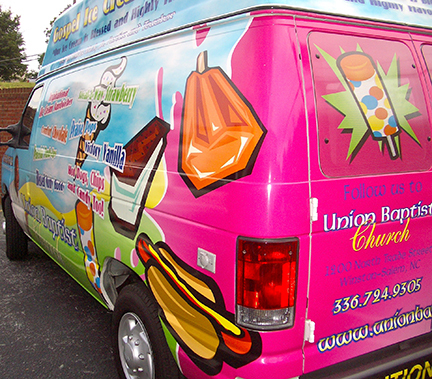 We can add your logo to your vehicle or an entire custom wrap. 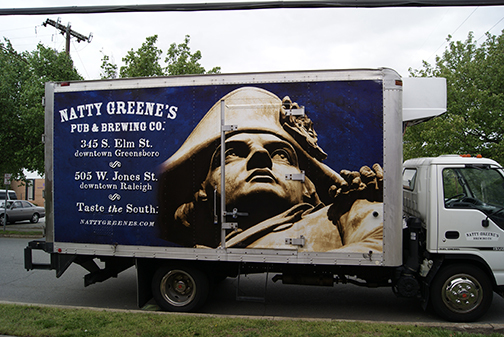 We print full color graphics on 3M vinyl for a brilliant and long lasting image. 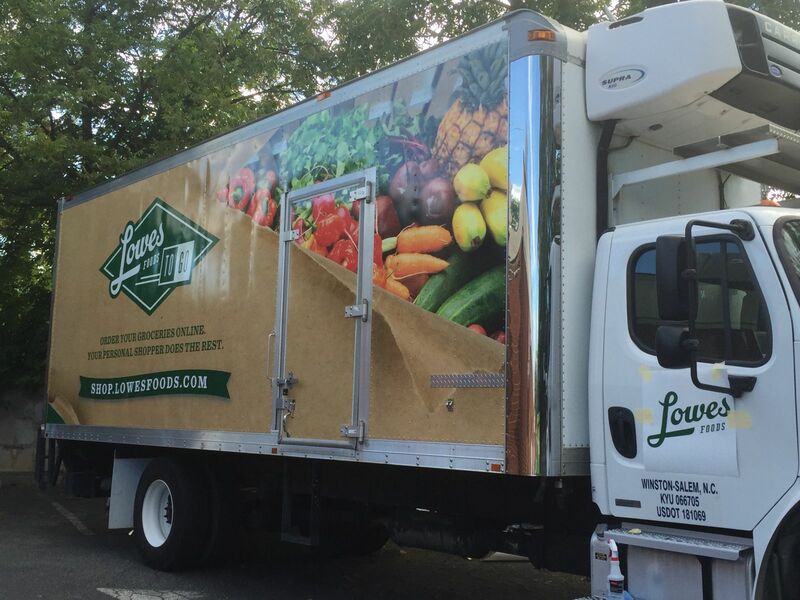 Whether it's a car, box truck van or a fleet. 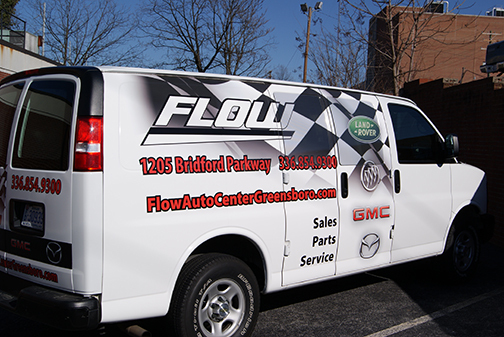 We can help design, print and install your graphics. Vinyl Decal: A small graphic placed on the vehicle. Usually logo and phone number. 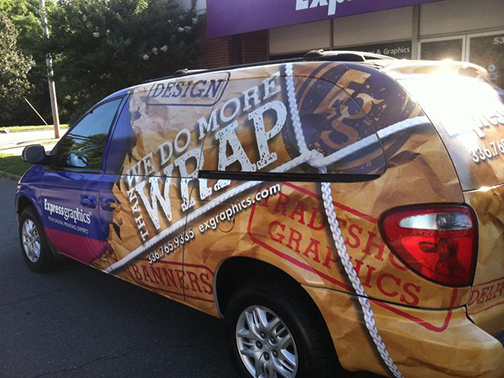 Partial Wrap: Just part of the vehicle is wrapped, usually the sides and maybe the back. 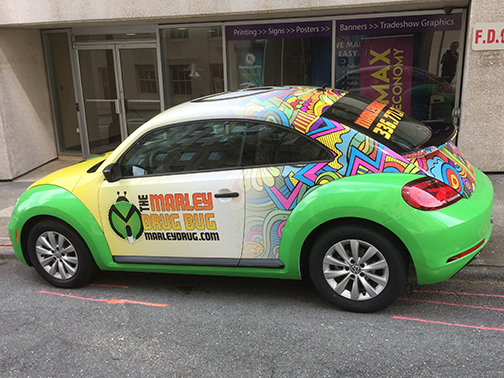 Full Wrap: Front, sides and back of vehicle are wrapped from top to bottom with vinyl. Full Wrap with windows: Vinyl wrap on entire vehicle and perforated window film on passenger and back windows.